SpiceJet has announced a direct flight from Trivandrum to Kozhikode which will commence its service from May 5, 2012. Daily flight from Kozhikode to Trivandrum and Trivandrum to Kozhikode will be made using a Q400 NextGen turboprop aircraft, announced the company in a press release. 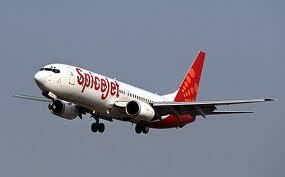 SpiceJet has also announced flights to three other state capitals including Chennai, Bangalore and Hyderabad.